Safely storing hazardous materials and chemical waste is a common problem for many private and public institutions. Chemical Storage Buildings provide an effective solution for permanent and temporary storage of these materials. With many different regulations to follow, it can be overwhelming when choosing the correct chemical storage building. US Chemical Storage makes the selection process easier with a 5 step process to ensure compliance. For a free chemical storage consultation contact one of our technical sales engineers online or call (800) 233-1480. 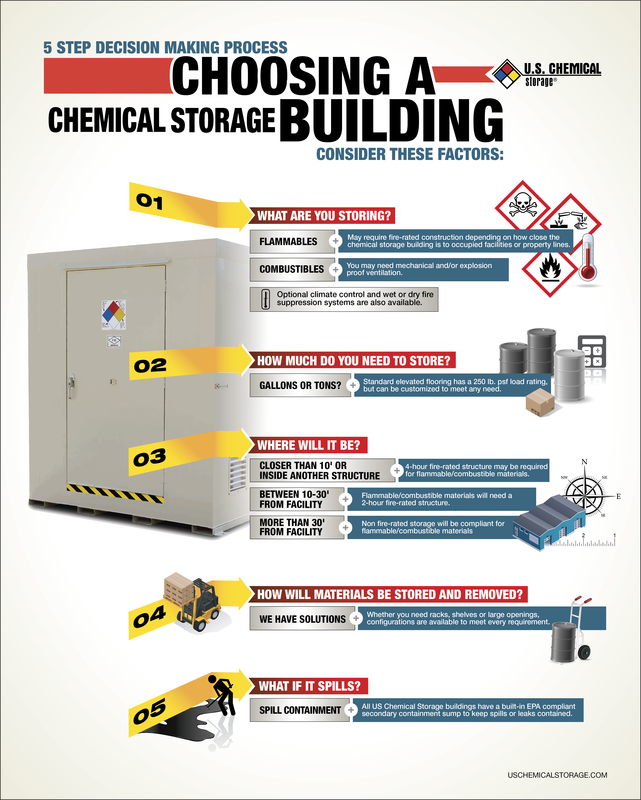 Choosing A Chemical Storage Building Infographic by US Chemical Storage.